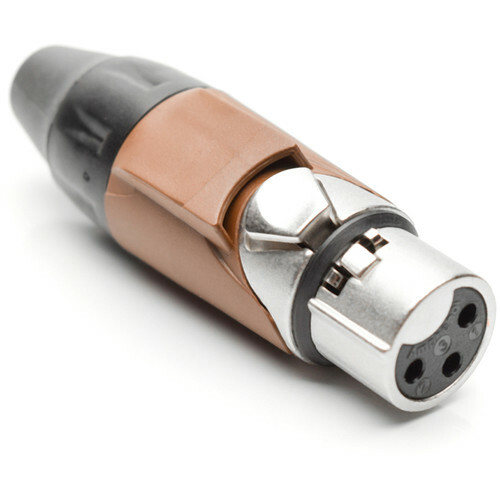 The Amphenol AX3F1M is a cable connector with a 3-pole XLR female connection point. It's designed for use in audio applications, providing a 14 AWG wire gauge that's suitable for cable-diameters between 3 and 8mm. The connector features silver contact plating, a die-cast zinc alloy shell, and a satin-nickel finish. For purposes of differentiation, this connector features a brown mark sleeve.